Last year event was held at Bukit Gombak, and for this year it has moved to Choa Chu Kang stadium. 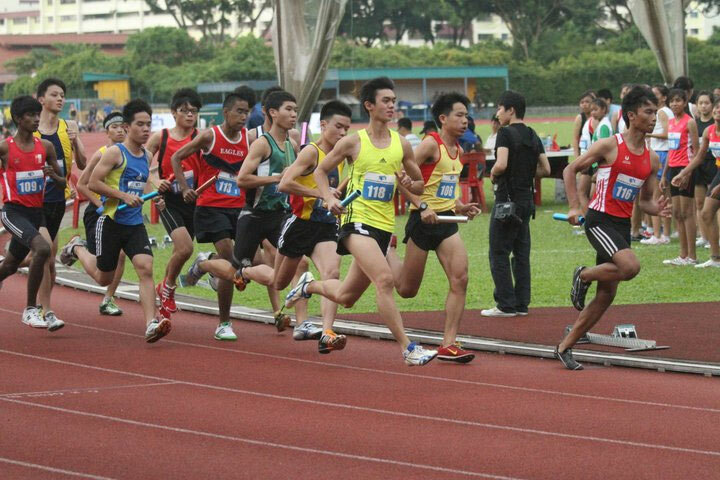 The next fun-filled event organised by SAA would be the SPH Schools Relay Championships 2012 this coming weekend. Always a big draw for the crowds when it comes to the relays. So come on down and support your athletes and school. Singapore Sports School did really well last year, snagging 4 divisional title and the Overall Challenge Trophy. GIRLS C DIVISION – Singapore Sports School (28 pts & 2 Golds) Singapore Sports School Tied with Nanyang Girls High at 28points each, but wins the Challenge Trophy with their 2 Golds in 4x100m & 4x200m. 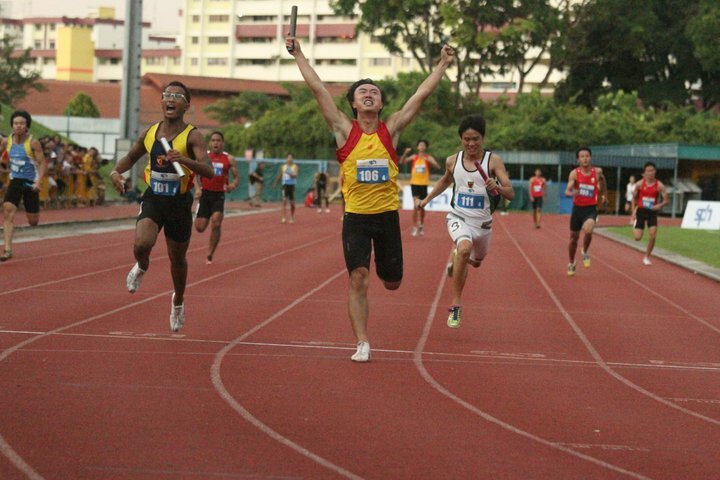 BOYS C DIVISION – Singapore Sports School with 32 pts and winning all 4 races. GIRLS B DIVISION – Singapore Sports School with the full score of 32 points sweeping all the gold medals for all 4 races. Not only we have the local school schools participation but also international. 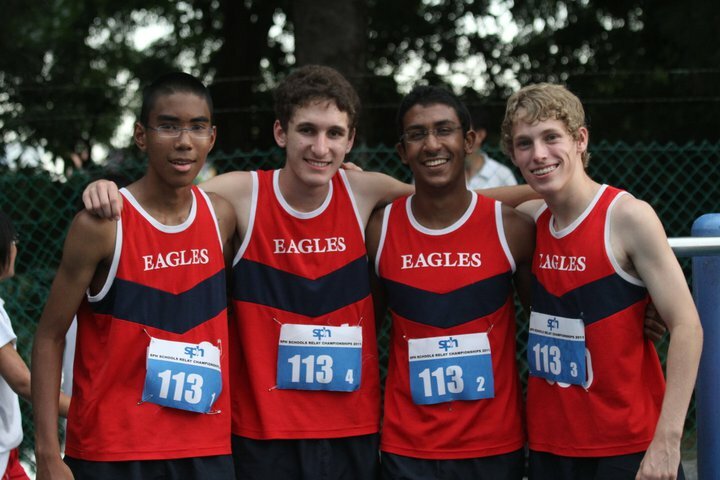 The team from Singapore American School. BOYS B DIVISION – Singapore Sports School winning 3 out of the 4 races. GIRLS A DIVISION – Raffles Institution Junior College with 26pts. BOYS A DIVISION – Raffles Institution Junior College. Raffles Institution Junior College tied with Anglo Chinese Junior College with 22 points but won the Challenge Trophy for their 2 gold medal winning. The excitment that comes with the relays. Here is the boys 4×800 metres event .